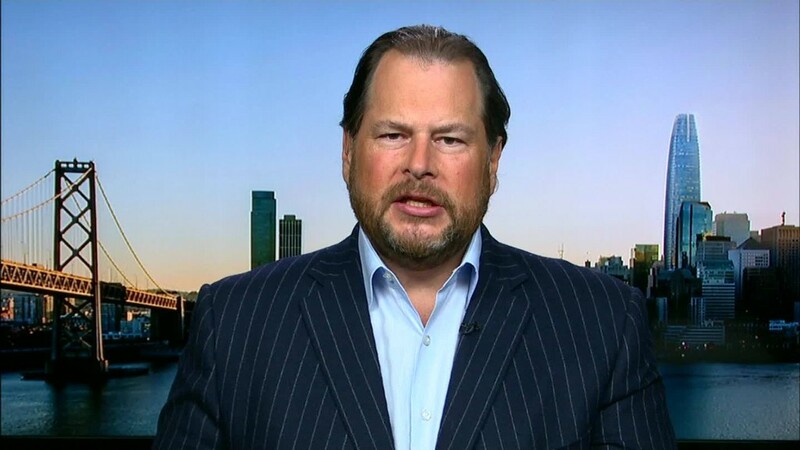 Salesforce CEO Marc Benioff has long been an outspoken advocate for gender and LGBTQ equality -- and now he's going to pay someone to keep Salesforce accountable. Next week, Salesforce (CRM) will announce a new Chief Equality Officer, who will focus on equality inside the company. Benioff announced the new position Tuesday at the TechCrunch Disrupt conference in San Francisco. The person will report directly to Benioff. Though the person has not yet been named, he or she will probably be thrilled to put "Salesforce CEO" on a business card. Benioff has been socially active in San Francisco, where his company is based. This year, Salesforce donated $8.5 million to the San Francisco and Oakland public school districts. He also started a program to make sure his female employees were getting paid the same as male employees. On Tuesday, Benioff called out other tech companies for not doing enough in the communities where they are based. "Silicon Valley does not have to be stingy like it traditionally has been," he said. "Traditionally, [entrepreneurs] have not focused on the communities they're involved in." Salesforce has also weighed in on issues like North Carolina passing a law that prevents transgender people from using the bathroom of their choice. "There's a lot of sh** going on out there," said Benioff. "People who have a lot of hate in their hearts, they're not the summer of love people of San Francisco. There's no tie dye, no LSD." Salesforce did not have any additional details on the chief equality officer position or what it would entail.